State-of-the-art multi-spectrum infrared technology detects hydrocarbon fuel and gas fires while delivering superior reliability and immunity to false alarms with enhanced overall coverage. The FS-IR-975 Flame Simulator is the essential complimentary tool to the self-testing capabilities of your Rosemount™ 975MR Multi-spectrum Infrared flame detector. It brings fire prevention safety to a higher level by giving you the ability to fully test the operational readiness of your entire fire detection system. Innovative technology integrates ultraviolet and infrared sensors to rapidly detect hydrocarbon-based fuel and gas fires, hydroxyl and hydrogen fires, as well as metal and inorganic fires. The FS-UVIR-975 Flame Simulator is the essential complimentary tool to the self-testing capabilities of your Rosemount™ 975UF Ultra Fast Ultraviolet Infrared and 975UR Ultraviolet Infrared Flame Detectors. It brings fire prevention safety to a higher level by giving you the ability to fully test the operational readiness of your entire fire detection system. Multi-spectrum infrared sensing technology detects ‘invisible’ hydrogen fires at long distances with high false alarm immunity. 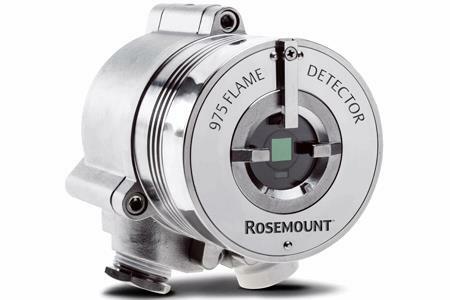 The FS-HR-975 Flame Simulator is the essential complimentary tool to the self-testing capabilities of your Rosemount 975HR Multi-spectrum Infrared for Hydrogen flame detector. It brings fire prevention safety to a higher level by giving you the ability to fully test the operational readiness of your entire fire detection system. Highly efficient dual band detector that is sensitive to UV and IR radiation, can be used indoors and outdoors to detect hydrocarbon-based flames with robust false alarm immunity. The Universal Flame Test Lamp is designed for use with our Ultraviolet, Ultraviolet/Infrared, and Triple Infrared flame detectors.